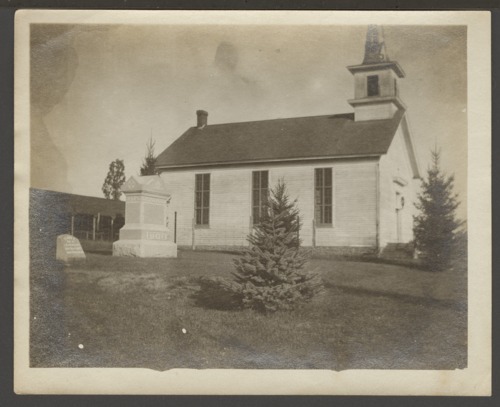 This is a photograph of the Goshen Church in Goshen, Kansas. Two tombstones are in the foreground. One is for someone with the last name of Steves.